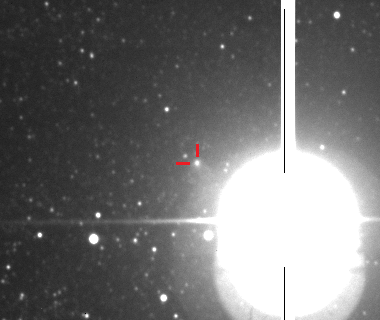 Image of comet C/2013 A1 (Siding Spring) at 4.8 arcminutes from Mars, as seen on 2014 October 19 at 20:20 UT via ESA’s Optical Ground Station, equipped with a 1-meter telescope, on Tenerife, Canary Islands. North is to the left of the frame. The comet was imaged under poor sky conditions, while it was 17° above the southwestern horizon. High humidity and strong winds also affected the image quality, giving a “fuzzy” appearance to the nearby stars. For anyone who didn’t find the comet in the full frame image above, here’s a cropped version with the comet marked! Can you make an estimate of the nuclear magnitude of the comet? Please let me know. 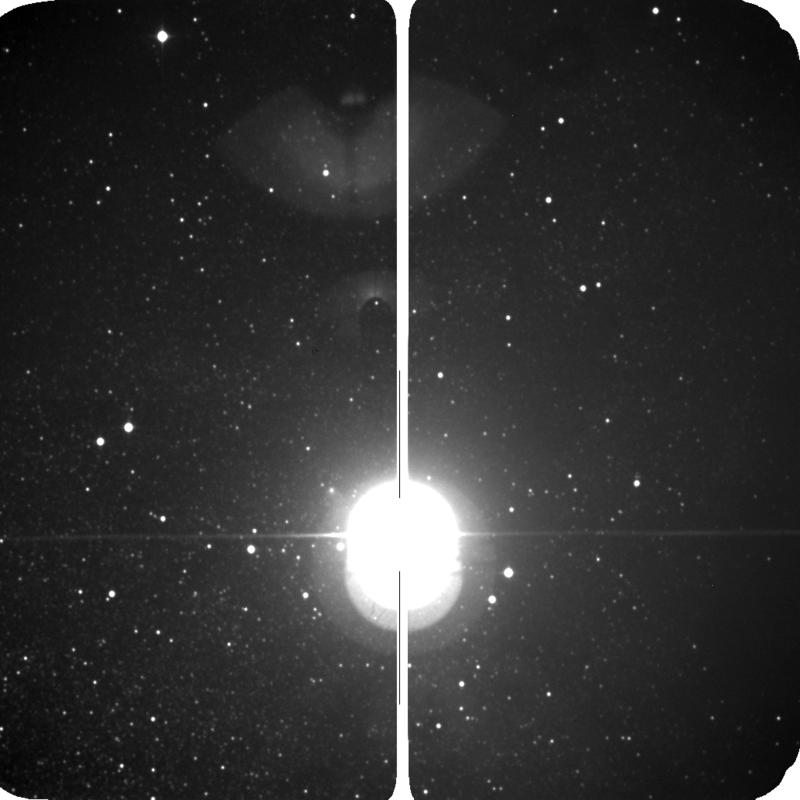 Photometry from a .png file is not reliable. In the caption of the Mars_comet image, please correct that 20:19 UT is 22:19 CEST (light saving time), not 23:19 !! !